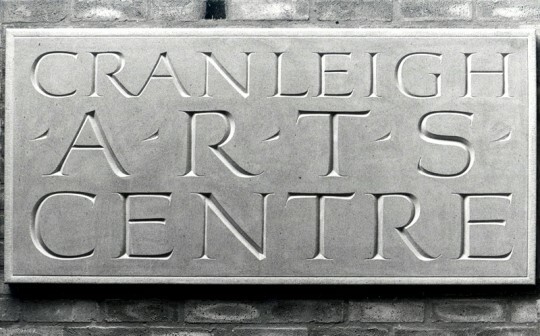 Carved Yorkstone panel set into the stonework of an old School House converted into an Arts Centre. The work has the dual message of being a building title while at the same time expressing through design and execution the activity within the building. The panel has a carved moulding to the edge. The lettering is a modern expanded Roman drawn to fill the panel. Gilded puntas are used to emphasise the word ARTS.